We’re excited to share the good news that the drool-worthy food fundraising event Love Food Fest is right around the corner! This annual event raises crucial funds for the Action Against Hunger charity. Once again the event will feature a dozen Toronto chefs and craft breweries and wineries. Tickets for the evening include “unlimited food, fun, and drinks” helping to support Action Against Hunger’s fight to end hunger. 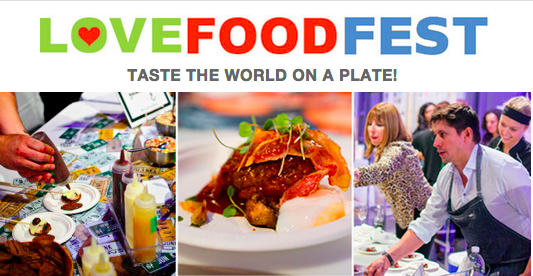 And even better news, we’re giving away two tickets to Love Food Fest for a total value over $250! Check out the great chef lineup below and details on how to enter for your chance to win! Love Food Fest 2015 takes place on Thursday, October 15th, 2015 at 99 Sudbury St in The Gallery. The event will feature stories from Action Against Hunger’s work in the field in more than 50 countries (including Iraq, Nepal, Syria and South Sudan). The evening aims to raise money for a new national project that will create student groups in high schools and universities in Canada to raise awareness about hunger and malnutrition both here and abroad. Check out our photos from last year’s Love Food Fest 2014. Also, read about local chef Matt Blondin’s visit to Peru with Action Against Hunger here. Enter via Twitter, Facebook or do both to double your chances! 1. Follow @BestofTorontoTV and @ACF_Canada on Twitter. 3. That’s it, good luck! 1. Like Best of Toronto and Action Against Hunger Canada on Facebook. 2. Like this Facebook post. 3. In the comments of that post, tag who you would bring if you won. 4. That’s it, good luck! Giveaway ends on Thursday, Oct 8th at 3:00pm. One entry per Twitter account. One entry per Facebook account. Must be 19+. No transportation provided. Not for resale. Not transferable.